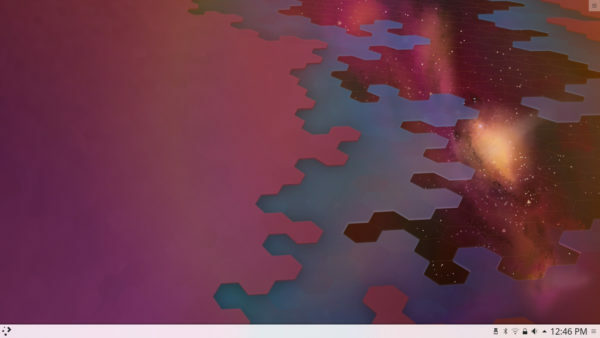 The latest KDE Plasma desktop 5.14 was finally available to install in (K)Ubuntu 18.10 via the Kubuntu Backports PPA. Network widget now works for SSH VPN tunnels again. The lock screen now handles user-switching for better usability and security. Import existing encrypted files from a Plasma Vault. The Global menu now supports GTK applications. Plasma Discover gained fwupd support. Plasma Discover now supports for Snap channels. For more details, see the announcement. You can purge the Kubuntu Backports PPA, which downgrade Plasma desktop to the stock version (5.13.5) in Ubuntu 18.10 repository. Just what I was looking for–thanks! Makes the upgrade look pretty painless. Should this work with Kubuntu 18.04.1 LTS? Because I just tried that and my plasma stayed in 5.12.7. Can’t remember what version it had before I installed the PPA and updated through the command line. No, only the latest 5.12.x LTS (Long Term Support) available for KUbuntu 18.04 in the PPA. Forgive my noob question, but I have Mint KDE 18.3 running Plasma 5.8 and want to upgrade to Plasma 5.14 with the newer applications as well (KDE Frameworks and QT). It works fine for the most part, but I would like to implement as many bug fixes as possible without breaking it. Will the updated apps, widgets, etc, be installed as well? Mint 18.3 is based on Ubuntu 16.04 LTS, for which the PPA offers the latest Plasma 5.12 LTS packages. It should work though I never tried. Hey guys new to Linux hopefully someone can verify something for me, why would you need to purge? The repository’s to downgrade?